The circulatory system also known as cardiovascular system includes the heart, arteries, veins and capillaries, this network carries oxygen and nutrients to the body and transports waste products to kidneys, liver, and lungs for elimination. 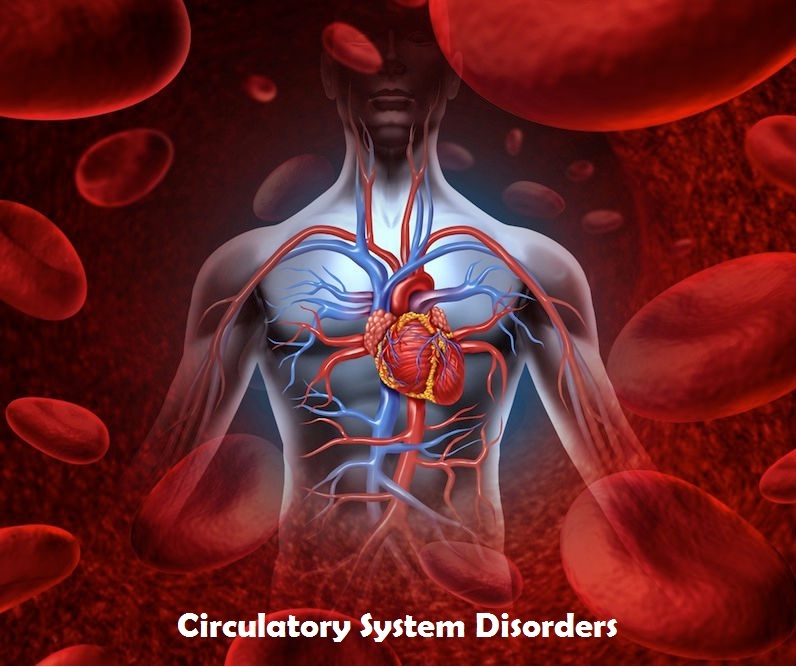 However, different diseases can affect the circulatory system causing disability or even death and thus, understanding the different circulatory system and how the diseases can affect the circulatory system is important to combat the growing problem of circulatory diseases in the world. High Blood Pressure is the most common type of circulatory system disorder in adults. Most people with high BP have primary hypertension which is not caused by other diseases. If left untreated, hypertension can lead to heart attack, heart failure, kidney failure, and stroke. Atherosclerosis happens due to the hardening of the arteries, because of deposition of plaque along the inner walls. Plaque is mostly made up of inflammatory cells, connective tissue, calcium, certain fats, and if left untreated can restrict oxygen supply and blood flow to different parts of the body. Aneurysms are the result of severe weakening of the blood vessels, causing them to balloon due to high blood pressure. Unfortunately, no symptoms occur until a rupture happens, which then becomes a life-threatening emergency. Thrombotic disorders or spontaneous clots are again common circulatory system issues. The biggest danger a clot poses is cutting off blood supply to a vital organ. It becomes even more life-threatening if the clot detaches from the specific site of formation and moves to the lungs, resulting in pulmonary embolism. Congenital defects can occur when there is an abnormality in the formation and development of one or more parts that make up the circulatory system. Treatment options and surgical correction again depend on the severity of the defect. Do you know the causes? Start exercising. It strengthens heart muscles and increase the good cholesterol. Quit smoking and avoid tobacco. Smoking constricts the blood vessels, so quitting can reduce the risk of blood pressure. Lose weight and eat healthy to avoid obesity, diabetes, and heart disease. Limit alcohol. It can cause weight gain and increase blood pressure. Heavy drinking can also weaken heart muscles.